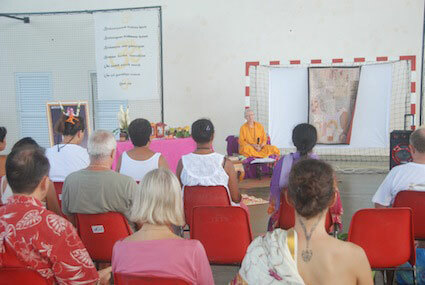 Brahmacharini Dipamrita Chaitanya visited Tahiti for one week of programs. It was the first time a representative from Amma’s organization visited the remote island. 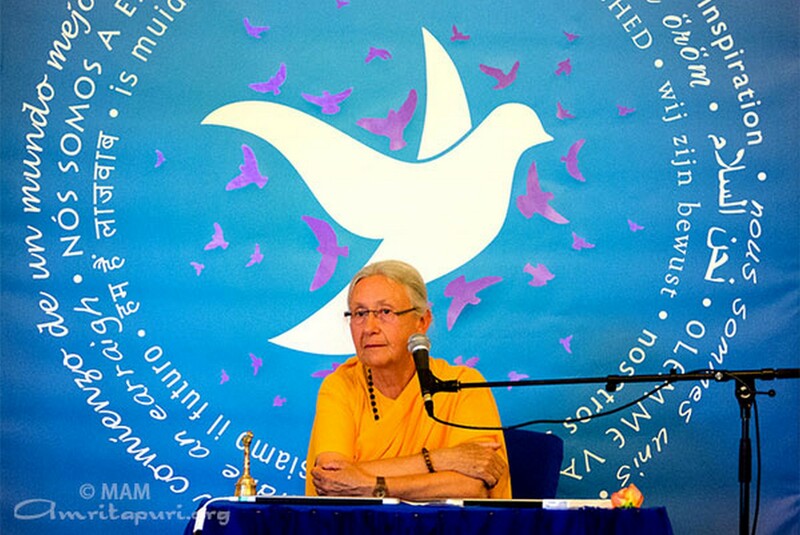 Dipamrita held different programs at various locations around the island; public halls, gymnasiums, a Tibetan center, private houses, etc, where she shared Amma’s teachings, and guided people through yoga, meditation, puja, and bhajans. During her visit, Bri. 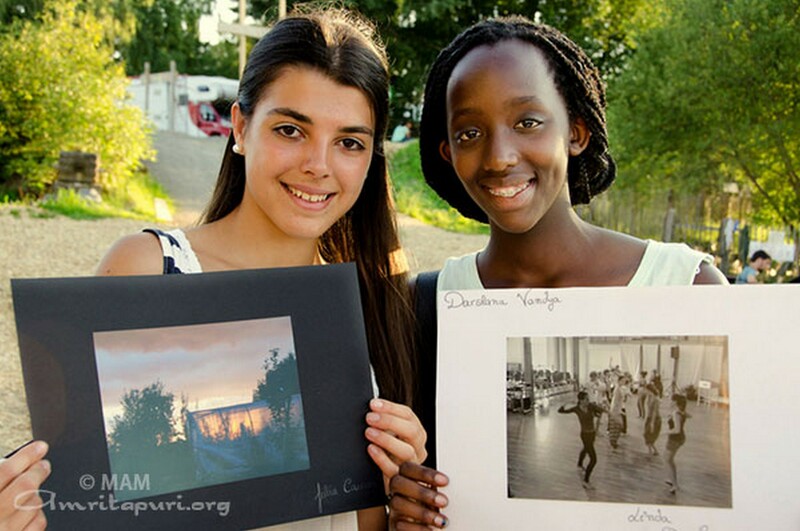 Dipamrita and Catherine Graindorge were interviewed by several major media outlets, including a popular TV channel (Polynésie 1ère), as well radio and newspapers, who all helped announce the programs. It was also great timing that very week Dipamrita was in Tahiti one of the major French channels on the island broadcast a program on Amma. 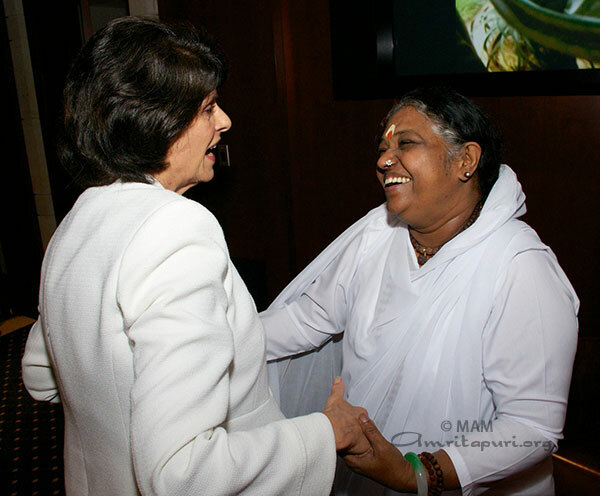 The response was very positive from all who attended and after Dipamrita’s visit many Tahitians came to Los Angeles to meet Amma during her summer tour. 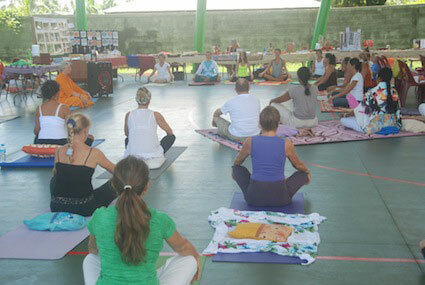 Following the programs, devotees living in this small island of French Polynesia have started a regular satsang group and and officially registered the association ‘AmmaTahiti’ allowing them to officially begin to do charitable activities inspired by Amma’s example on their island. 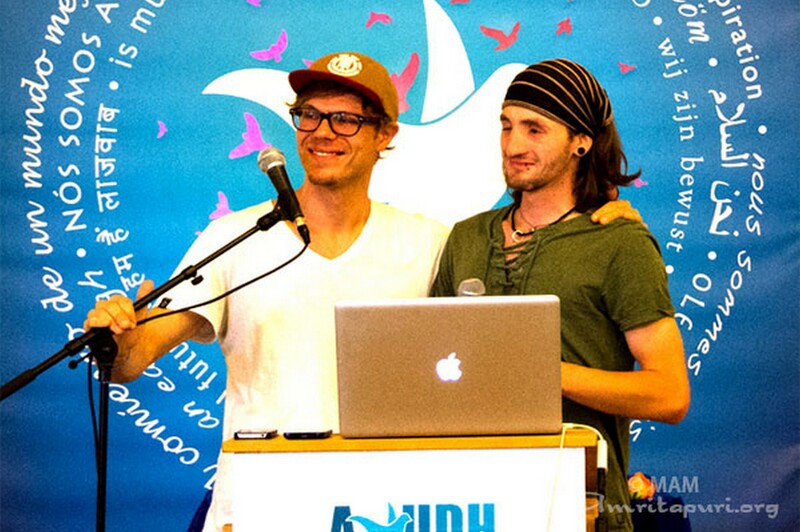 The 10th European AYUDH Youth Initiative, “Awareness in Action,” was an overwhelming success. 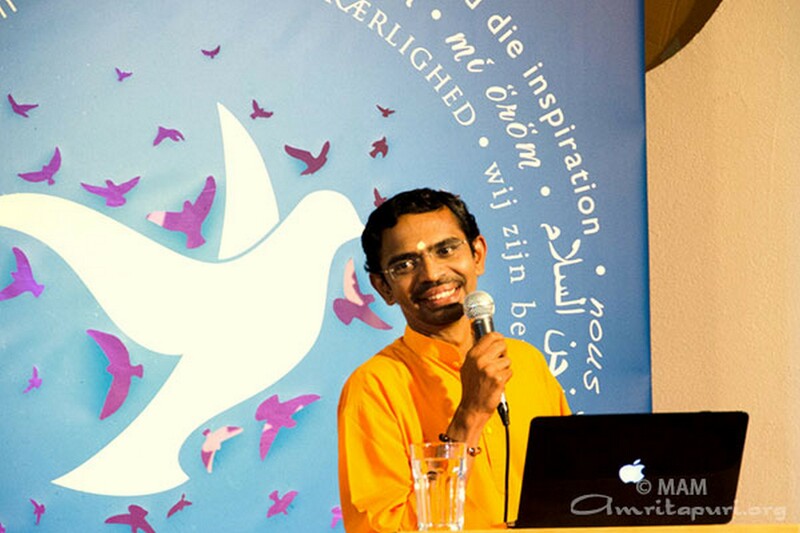 Nearly 300 youth between the ages of 15 and 30 from nearly 23 countries gathered from 13th – 20th July 2014 at M.A. Center Germany, Brombachtal, to take part in the event. The general theme of the initiative was how to use awareness as a tool to develop better physical and mental health, as well as to improve the health of society and nature. One of the highlights of the week-long program was the visit of Swami Amritaswarupananda, the Vice Chairman of the Mata Amritanandamayi Math, for the Youth Initiative. 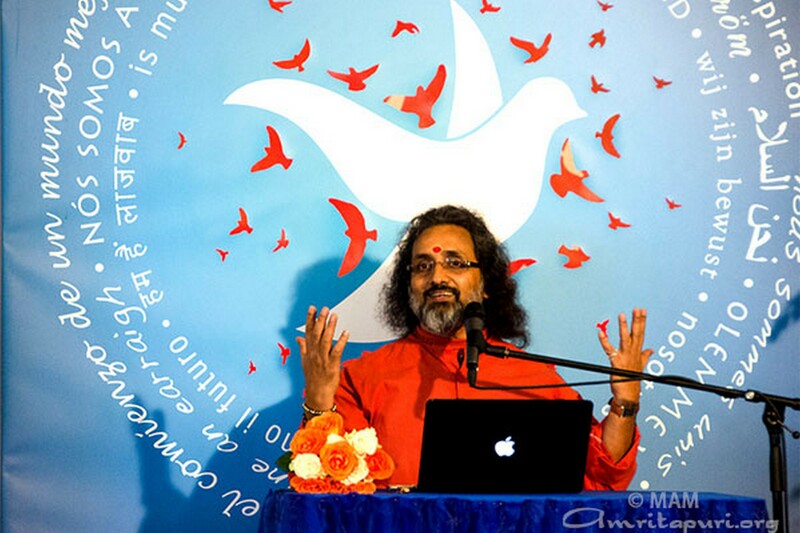 Swamiji’s talk, question-and-answer session and bhajans, held on July 16 at M.A. Center, was very well received by the youngsters. The other speakers were Br. Shubamrita Chaitanya, Bri. Dipamrita Chaitanya and Mr. Jani Toivola (Member of Parliament from Finland). 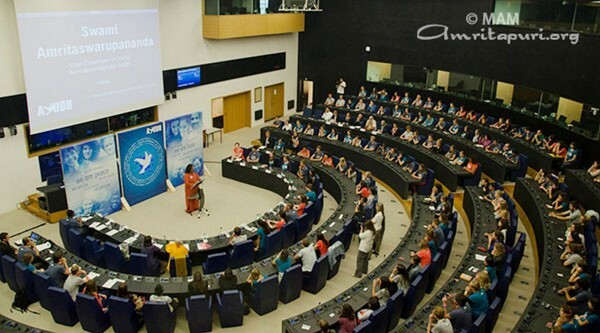 To commemorate the 10th anniversary of AYUDH in Europe, the youth visited the EU Parliament in Strasbourg on September 17th. The conference, titled “Strengthening Europe Through Youth Empowerment,” was a great success. 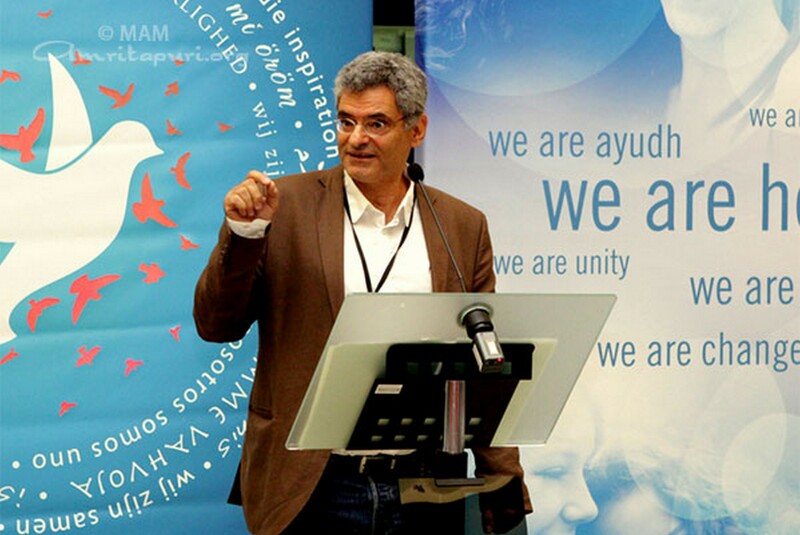 The event highlighted the success of AYUDH in implementing the EU’s youth strategy, specifically through the “Youth in Action” program of the European Commission, which has supported AYUDH since 2007. After the event the youth went to the city center of Strasbourg to do a flash mob, conveying the ideals of AYUDH through song and dance. 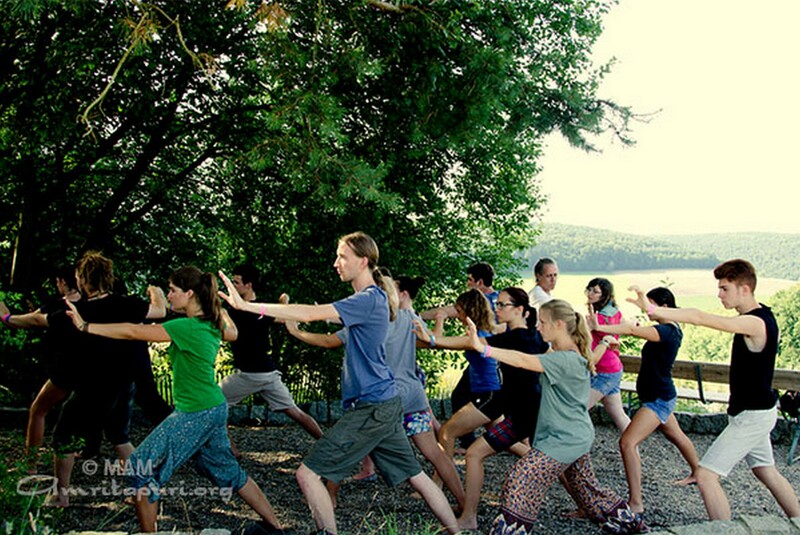 To deepen the topic of “awareness” in practical and creative ways, participants could choose from 16 workshops: archery, kung-fu, acting, permaculture, photography, artwork, dance, singing, self-awareness through interaction with horses, sensitive living, tai-chi, IAM-Meditation for youth, yoga, In-Deed sustainability campaign for school children and clowning. Christina Tourin, an internationally renowned harpist and pioneer in harp-therapy, led an exclusive workshop in therapeutic harp. 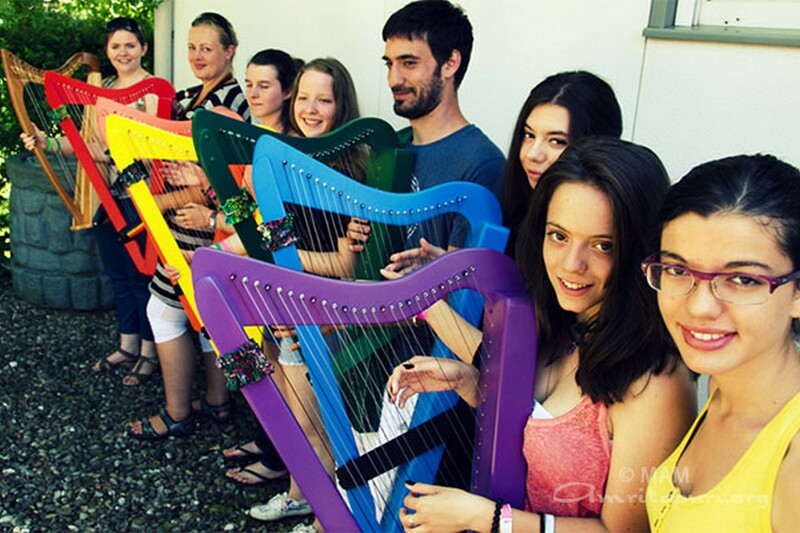 In continuation with the workshop, six youth were enrolled in AYUDH’s HOPE (Harps Of PEace) project. Under this project they will receive a free harp and online lessons for the duration of one year. Together with their local AYUDH groups, they can visit care homes for senior citizens and apply the healing benefits of music to body and spirit. 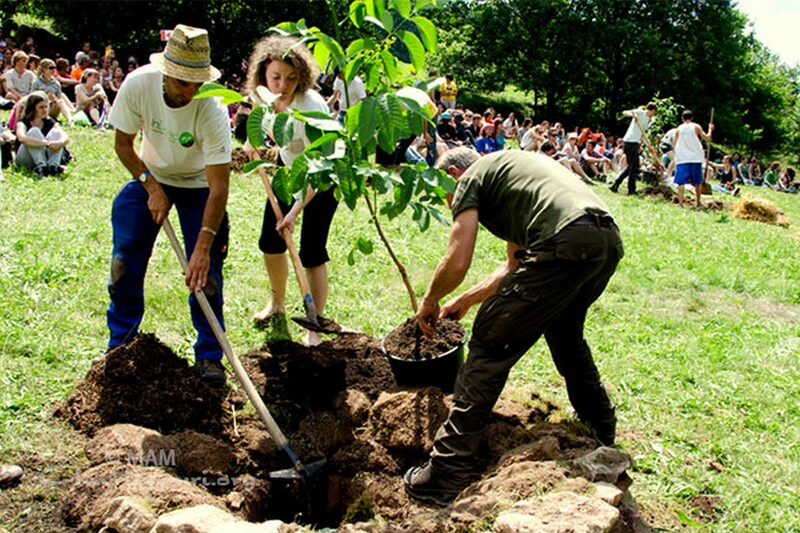 Upon the invitation of the city of Michelstadt, AYUDH went to a new permaculture demonstration site to create six large vegetable beds and plant five walnut trees, representing the five continents. With a lot of joy and enthusiasm the youth also prepared beds for 23 fruit-trees, symbolic for the 23 nationalities present at the summit. 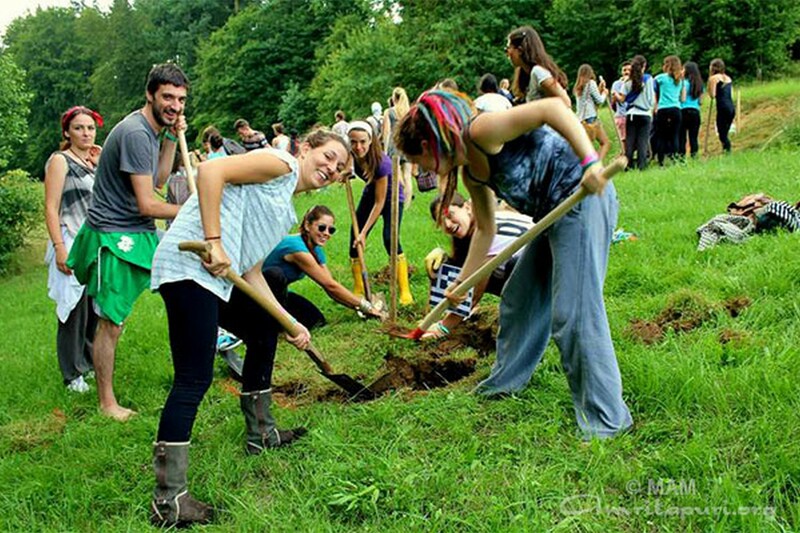 Since the current season is not conducive to the planting of fruit trees, they will be planted during Amma’s visit to Germany later this year. Mr. Stefan Kelbert, honorable Mayor of Michelstadt, welcomed the youth and expressed his gratitude and admiration for the successful collaboration between AYUDH and the city of Michelstadt over the past years. Daily sessions in mediation, bhajans, tai chi and yoga offered the youth an opportunity to deepen their self-awareness and find more inner balance and inspiration. 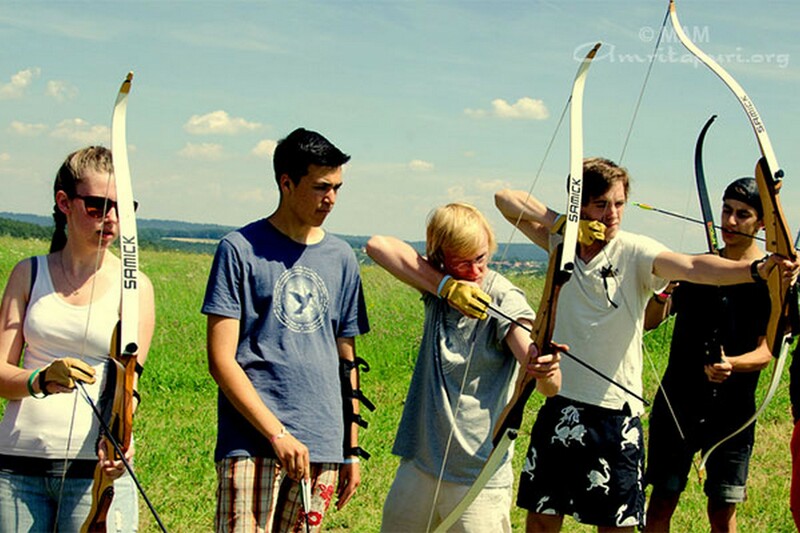 As one of the EU’s 2014 priorities is “sports and healthy lifestyle,” the youth organized a sports tournament including soccer, volleyball, acrobatics, running, dance and archery. Directed by Jani Toivola, the youth also shot a music video clip to the new AYUDH song “Be the First.” Each workshop group choreographed a scene in the video to display the diversity of activities during the summit. A talent show was organized on July 19th, wherein the youth showed their skills in performing arts. It was a true celebration of the talent, cultural diversity and joy of AYUDH. On July 20, Mr. Willi Kredel, the Mayor of Brombachtal, attended the summit and handed over certificates of participation to all those present. 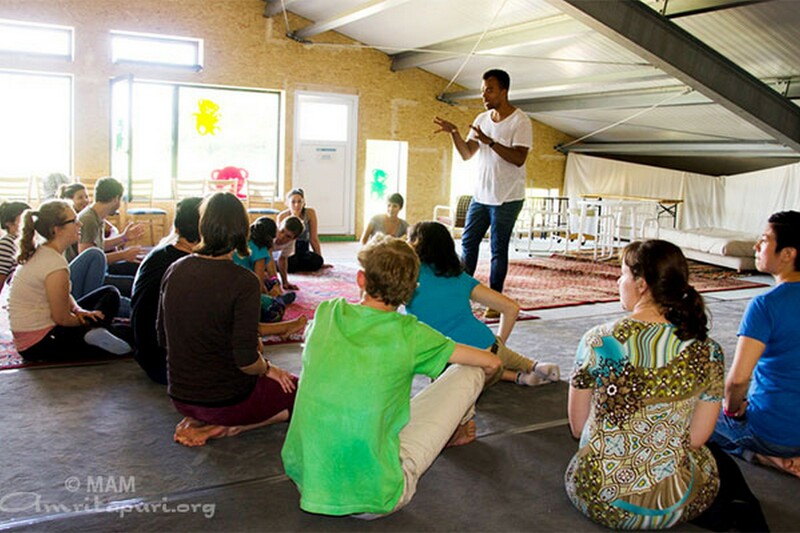 This AYUDH summit reached a new dimension of intercultural exchange, personal empowerment and project development. 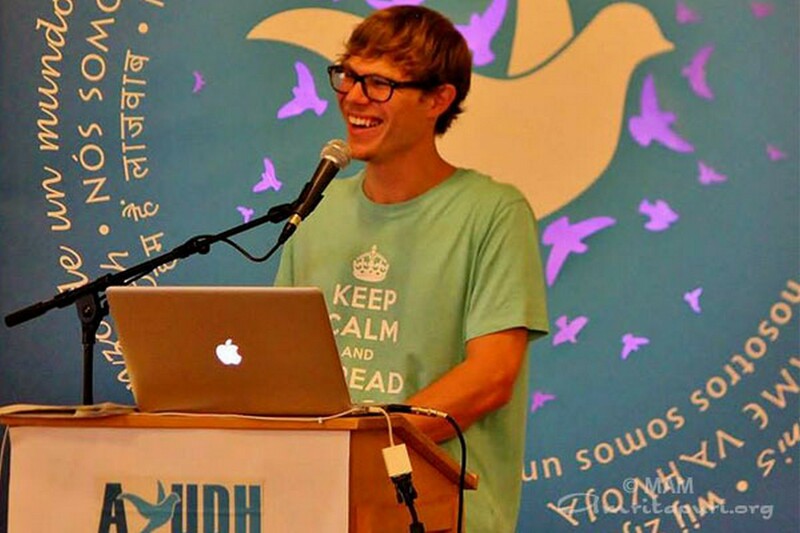 For one year leading up to the summit, AYUDH members across Europe had periodically met to discuss the topics they felt deserved more awareness in European society. They identified 10 categories, which included topics like nutrition, lifestyle, participation in society and ecological sustainability. These topics were explored in detail, with the assistance of professionals from the respective fields. Based on these discussions the youth developed concrete action plans, which will be implemented as follow-up projects in their respective home countries. As a new social outreach project the AYUDH members decided to sponsor 200 sticks for a school for blind children in Thika, Kenya. The ultimate goal of AYUDH is to extend the sponsorship program to all five existing schools for blind children in Kenya. 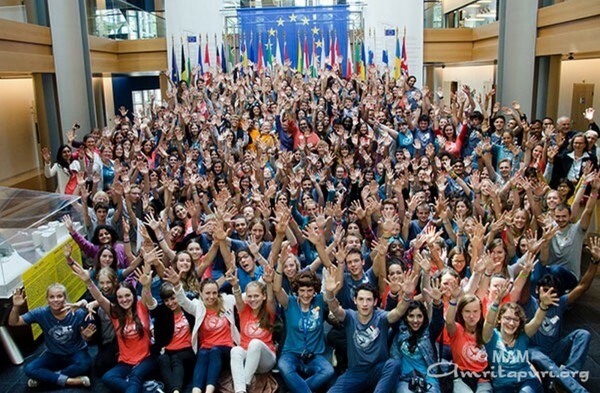 For the eighth time, the AYUDH youth initiative has been recognized by the European Union’s “Youth in Action” program. 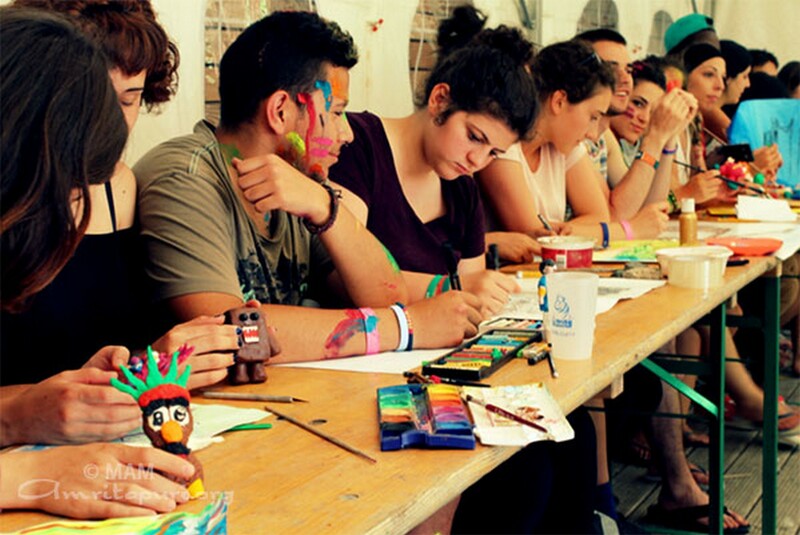 Over the years, AYUDH has been acknowledged as one of the best youth projects in Germany, which inspires a sense of active citizenship, solidarity and tolerance among young Europeans and involves them in shaping the Union’s future. The first IAM Technique course in Moscow took place on between May 17 and 18, 2014. A total of 57 people attended the two-day course. Moscow residents had been waiting for this for a long time and the hall in the center of the city was fully packed. Everybody felt like being part of one big family. At the end of the first day no one wanted to leave the hall. 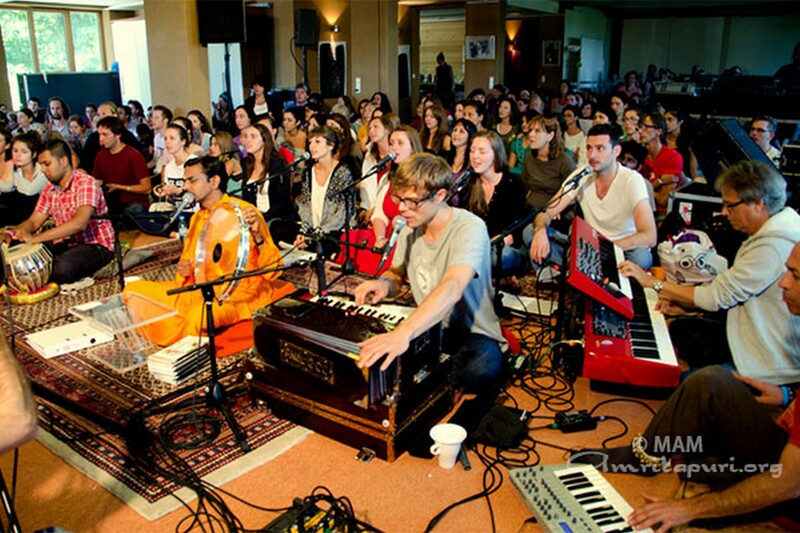 Most of the participants stayed there and sang bhajans for another hour and a half after the end of class. 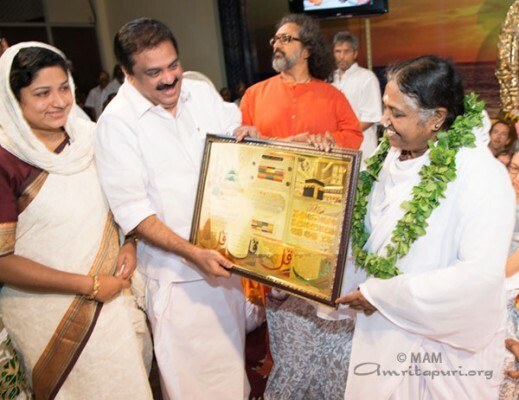 The course was led by Dayalu, one of Amma’s disciples, who has been residing in Amritapuri for more than 12 years. The IAM Technique course aroused great interest among the local participants. They asked many questions to Dayalu and he gave detailed answers to all questions with patience and very good sense of humor. 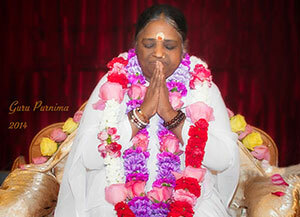 The participants received the information about Amma and her teachings with open hearts. 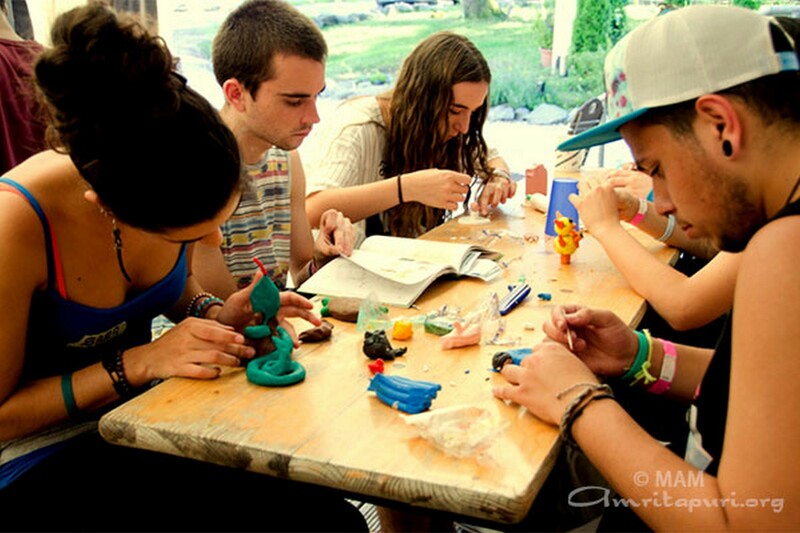 The atmosphere of the workshop was very positive. 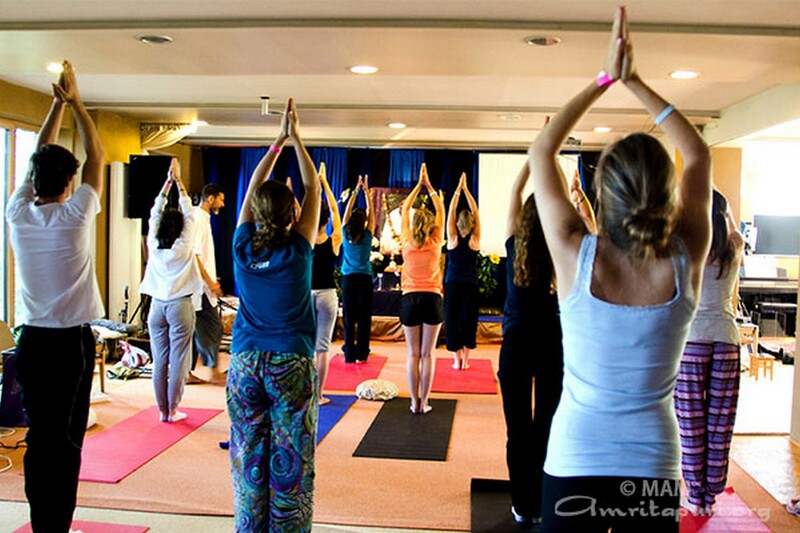 The first ever IAM course in Russia took place in 2011 in St. Petersburg. Minority Commission of the Govt. of India Member, Shri. Thykkuttathil Zakkeer met Amma today in Amritapuri along with his family during darshan. He offered to Amma a Ramadan gift of a plaque engraved with auspicious prayers from The Holy Quran along with sweets and fruits. He also invited Amma to share her thoughts on the eve of Eid al-Fitr. Amma shared the following message in response to his request. “Sacrifice, charity, compassion and knowledge – these are the values imparted by all mahatmas and scriptures. Prophet Muhammad and The Holy Quran ask us to follow these very principles. We have to take this message into our heart. This does not mean just acquiring an intellectual understanding. Rather, we should translate these principles into action in our lives. In so doing, we will feel love and compassion for our fellow beings. “The exchange of Ramadan gifts symbolizes both giving and receiving. Through this process of sharing, we build a bridge of love and universal brotherhood. That feeling of love and unity is something we should strive to maintain forever, throughout our lives. The very first stop of the European Tour of Br. Shubamrita this year was Hungary. On Swami’s arrival, sunshine and early summer replaced the heavy rainfall lasted long-long days. Lots of people came to see him and listen to his spiritual talk. More then half of them was newcomers and heard about Amma only recently. Br. Shubamrita’s talked on how you can make your life more easy while only changing your thoughts and concentrating just on the next step – filled their hearts with relief. His beautiful words were so touching that after the program you could see many of the participants’ faces shining. Lots of them said that they decided to follow those simple suggestions swami had proposed. After the break devotional bhajans and meditation helped their minds to settle and surrender. “I am thankful what I received here today: the theory of “changing your thoughts” is very familiar to me, but understanding it and living it was not completely synchronised. Swami’s words swam directly to my heart and furthermore I have received practical advises on the “how to” side. I appreciate it so much!” said a participant after the program. 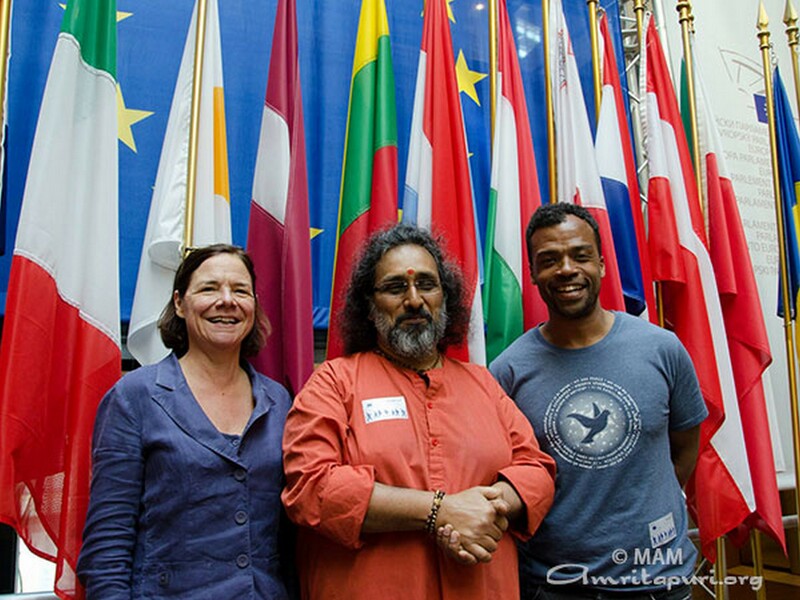 Several Members of the European Parliament (MEPs) joined AYUDH Europe (Amrita Yuva Dharma Dhara), the youth wing of the Mata Amritanandamayi Math (MAM), for its 10th Anniversary Celebrations at the European Parliament at Strasbourg in France. The event titled “Strengthening Europe through Youth Empowerment”, engaged nearly 300 young participants from 23 countries. 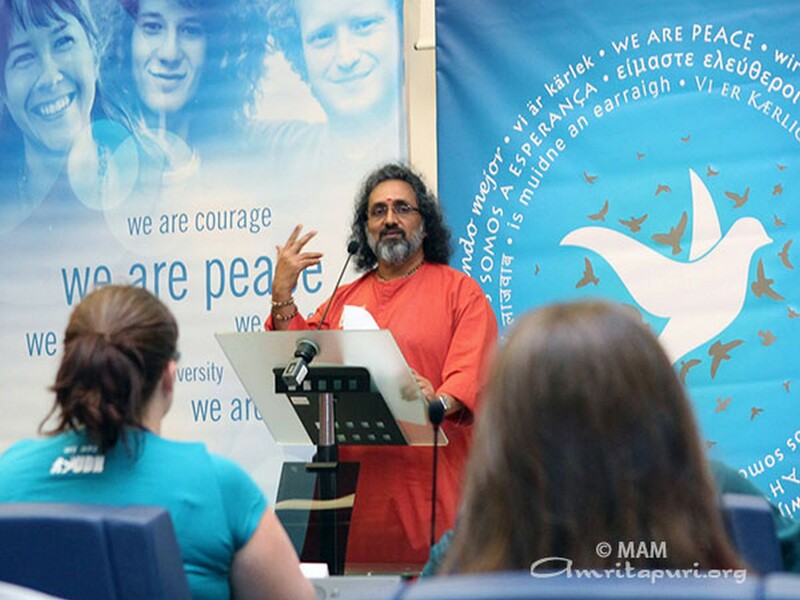 Inspired by the life and teachings of Amma, AYUDH has reached out to thousands of young people across Europe during the last ten years with its programmes in intercultural exchange, voluntary service, sustainable development and leadership building. 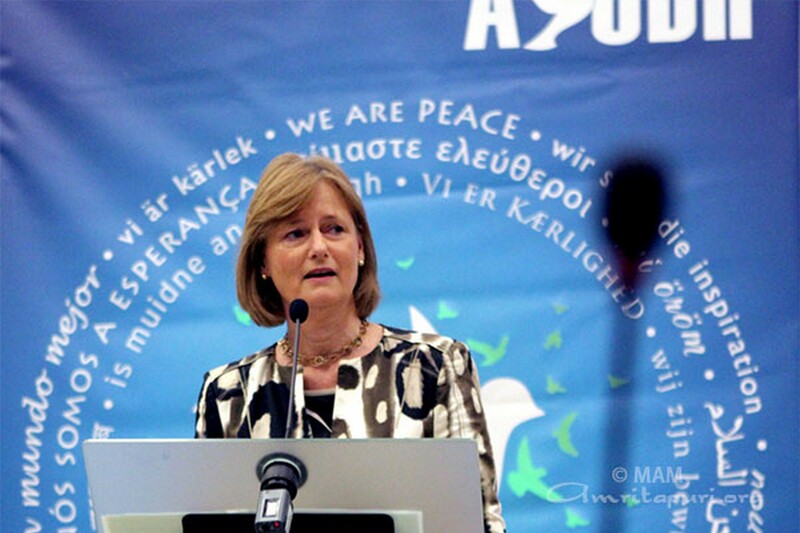 The dignitaries who participated in the event included MEPs Frank Engel (Luxembourg), Deirdre Clune (Ireland), Miltiadis Kyrkos (Greece) and Jani Toivola (Finland) besides Martine Reicherts, European Commissioner for Justice, Fundamental Rights and Citizenship. Ms Clune applauded all those who joined AYUDH movement. “I am sure you will carry the positive experiences from this for the rest of your life,” she said, and stressed on the certain measures taken by the EU on youth employment and ecological protection. Mr Engel, who leads the Luxembourg delegation to the Parliament, said this continent which had been the home of war and destruction, now is a continent of peace and construction. “We have values that we cherish and the way to ensure that they are retained is through the youth carrying them ahead,” he said. Martine Reicherts said a life in politics and a spiritual life are both possible. “Never go below your dignity. 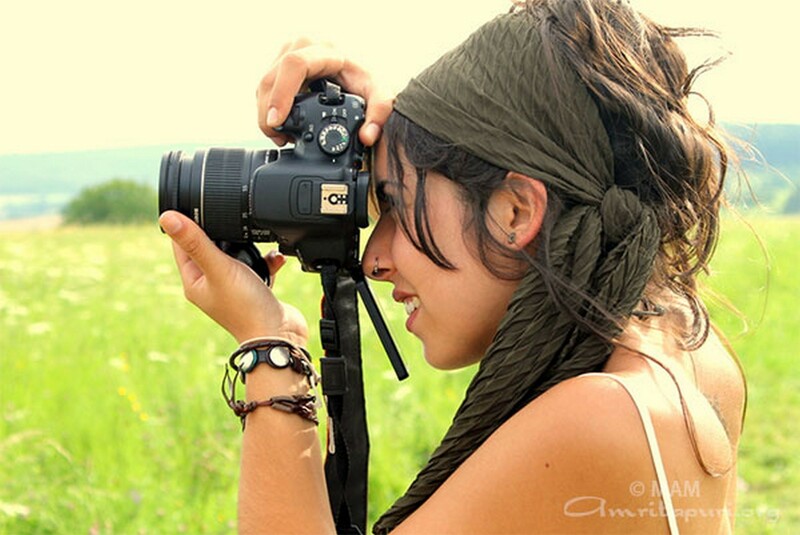 Keep up the values and don’t make it cheap,” she noted. The AYUDH youth also presented a five-point statement requesting the European leaders to consider taking the following steps: incorporate participation in voluntary and community service into formal education through recognized academic credit or curriculum design; encourage young people to take up the protection of biodiversity and community farming through the provision of awards and grants; establish high-quality, accessible care dedicated to improving mental health and wellbeing of youth, with particular emphasis on enhancing emotional and spiritual intelligence; provide young people with learning environments which nurture and support holistic lifestyles and creative self-expression; implement proactive, innovative measures to address the issue of youth unemployment through job creation, education, investment and dialogue. 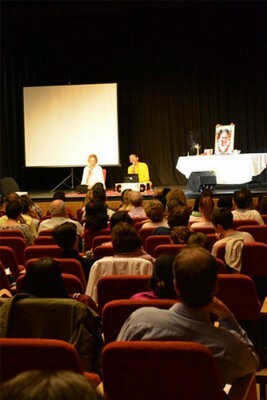 The event concluded with Swami Amritaswarupananda and Ms Reicherts taking questions from the youngsters. The focus was on different problems faced by youth in society today and their resolution. 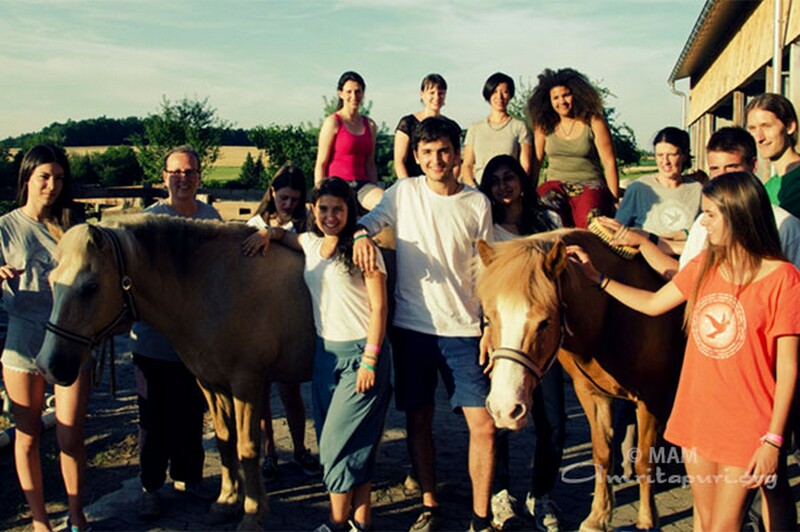 Since 2007, AYUDH has been working closely with European Commission for Education and Culture under its ‘Youth in Action’ programme. The Commission selected AYUDH as ‘Best Practice Project’ in 2009 for ‘Reaching New Heights’, a musical on the challenges of young people in today’s world and in 2013 for the project ‘Our World. Our Vision. Our Future’, which focused on non-formal education of school children on ecological sustainability. 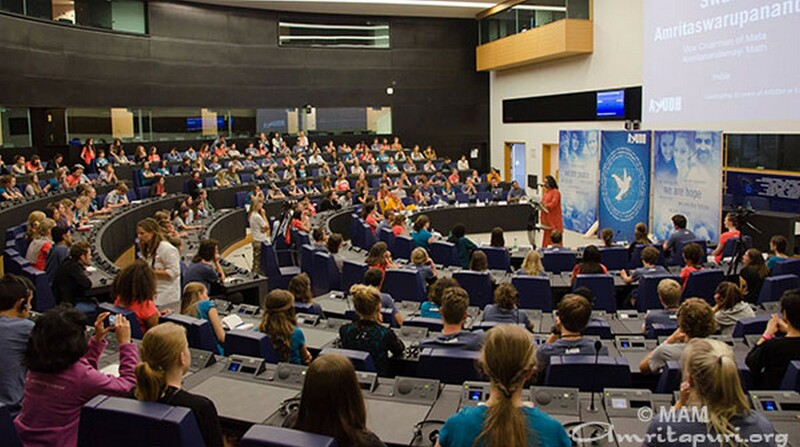 The event at the EU Parliament in Strasbourg is a part of a week long youth summit on the topic ‘Awareness in Action’, held in M.A. Center Germany (Frankfurt) from July 13 to 20. 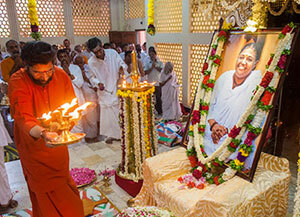 In Amritapuri Guru Purnima was celebrated. Under the leadership of Swami Turiyamritananda, Guru Paduka puja was conducted. Archana, Bhajans, Arati, and Satsang followed.